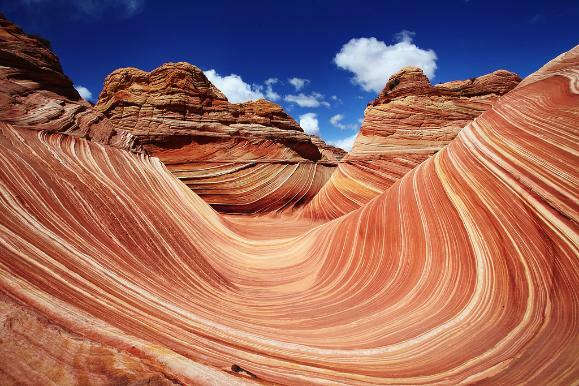 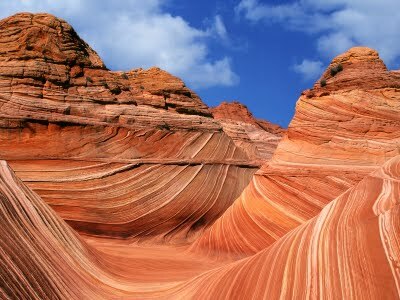 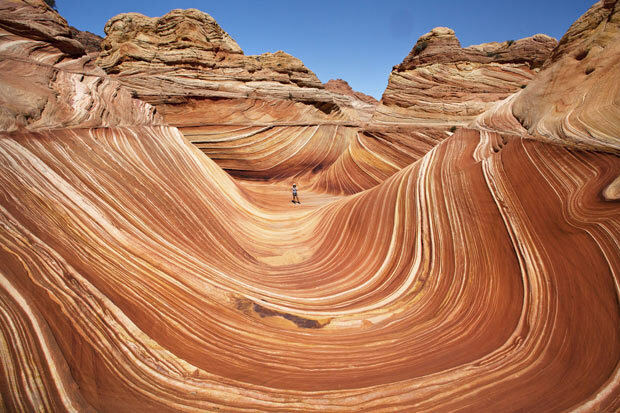 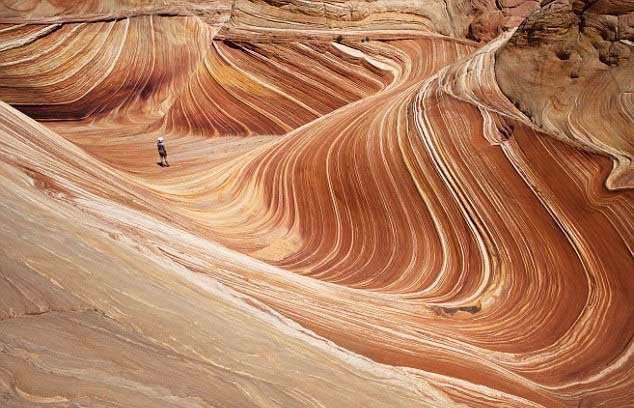 The Wave is a sandstone rock formation located in the United States of America near the Arizona and Utah border on the slopes of the Coyote Buttes, in the Paria Canyon-Vermilion Cliffs Wilderness, on the Colorado Plateau. 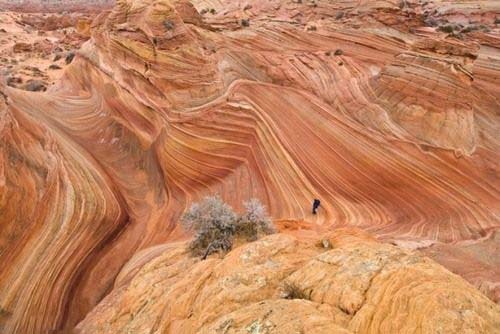 It is famous among hikers and photographers for its colorful, undulating forms, and the rugged, trackless hike required to reach it. 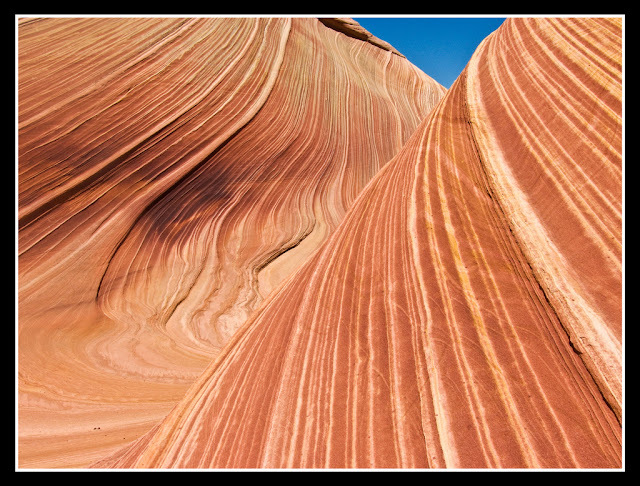 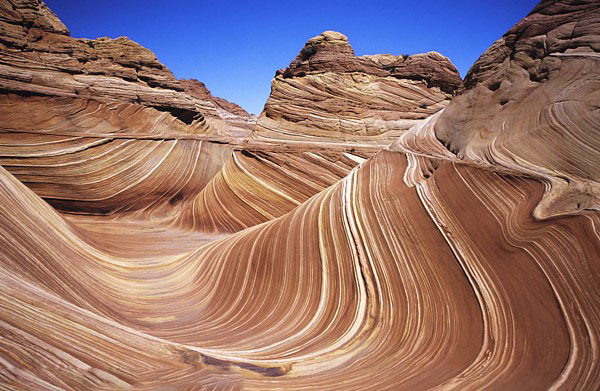 “The Wave” consists of intersecting U-shaped troughs that have been eroded into Navajo Sandstone of Jurassic age.